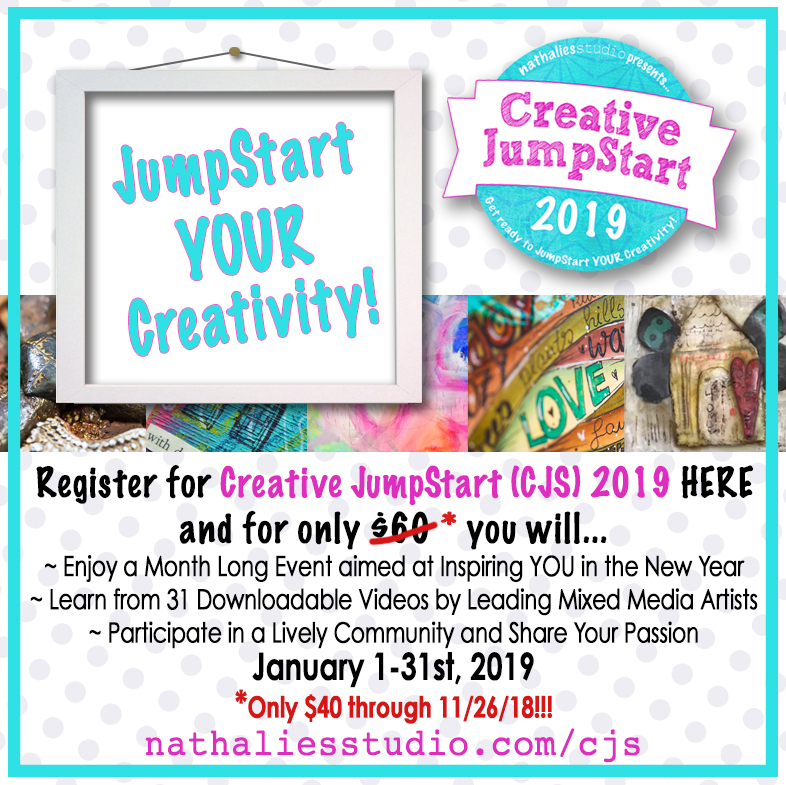 I’m SO excited to announce that I am participating as an artist in Creative JumpStart (CJS) 2019, brought to you by Nathalie Kalbach for an amazing 8 years now! If you’re not familiar with CJS, it’s a one-of-a-kind online event to kick your creativity into high gear in January 2019. And we all need a little creative kick to start our year off in the best way possible! You’ll learn techniques, discover new materials, and connect with other artists and crafters. As a participant, you’ll get access to 31 downloadable videos from 31 featured artists in the month of January. My jumpstart is all about channeling oxymorons into your illustrations. You’ll get a start-to-finish watercolor illustration in 10 minutes! For a little thing, it packs a HUGE creative punch! THE DETAILS | 31 videos – over 5 hours worth of video content – for just $40 (USD) if you sign up by November 26 2018 11:59 pm EST. Afterwards, it will be $45(USD) until November 30th 2018, and $50(USD) until December 31st 2018, before it goes to its normal sale price of $60(USD) on January 1st 2019.